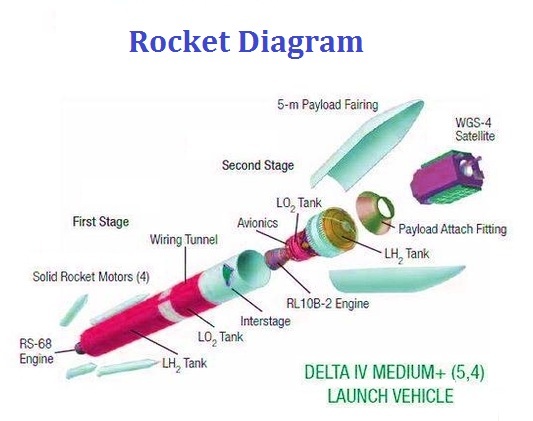 Rocket Diagram – Rocket Chart – Space Rocket – Space rocket diagram consists of the following parts: multiple stages, engine, tanks, interstages, solid rocket motors, avionics, payload (e.g. satellite). Example of a delta space rocket.